How much does Stan “The Man” Lee know about Marvel’s pending film slate? After all, Stan Lee IS Marvel. Without him, there would be no Cinematic Universe, no characters on which to base these amazing Marvel films that audiences are flocking to. 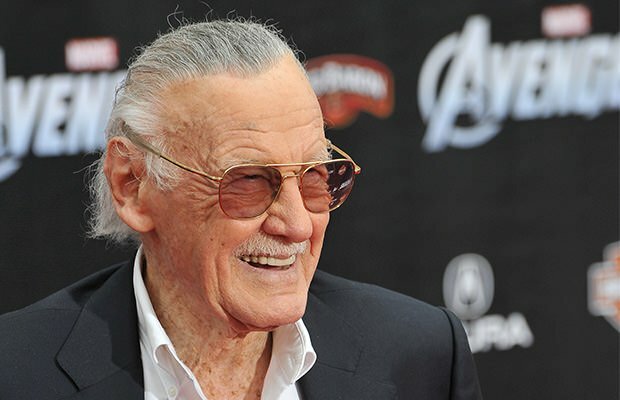 But is the 91-year-old comic-book legend up to date on all of Marvel’s moving pieces? Because if he is, then he just confirmed a Black Panther movie. After a director shuffle, that movie recently began filming in San Francisco with Peyton Reed at the helm, and a cast that includes Paul Rudd, Michael Douglas and Evangeline Lilly. But what about Black Panther? Does Stan Lee know for sure that Black Panther is next? It’s highly likely that he’s at least aware of the characters that are capable of carrying their own film, and are part of Marvel’s Phase Three. We have been hearing that the menacing Ultron will have to travel to Black Panther’s home land of Wakanda to pick up valuable resources in Joss Whedon’s sequel. But it’s unclear if an actor will have been cast to play the hero T’Challa in a Marvel movie for this potential cameo. “Get On Up” and “42” standout Chadwick Boseman has dropped hints that he’d like to play the character on screen, but has he met with Marvel? Right now, it’s all a big smoke screen. Stan Lee’s comments piqued our interests. Given the expanding slate of the Marvel universe, there has been so much speculation. Will Ms. Marvel finally get a movie? Will Black Widow or Hawkeye graduate to starring status? Could a player from the burgeoning Marvel/Netflix universe leap to the big screen? Based on what Lee has said, Black Panther is coming sooner than the rest, and one more of Marvel’s vacant release slots will be filled before we know it.